Mini Makers – Tiny Tots Get Creative in Kent! 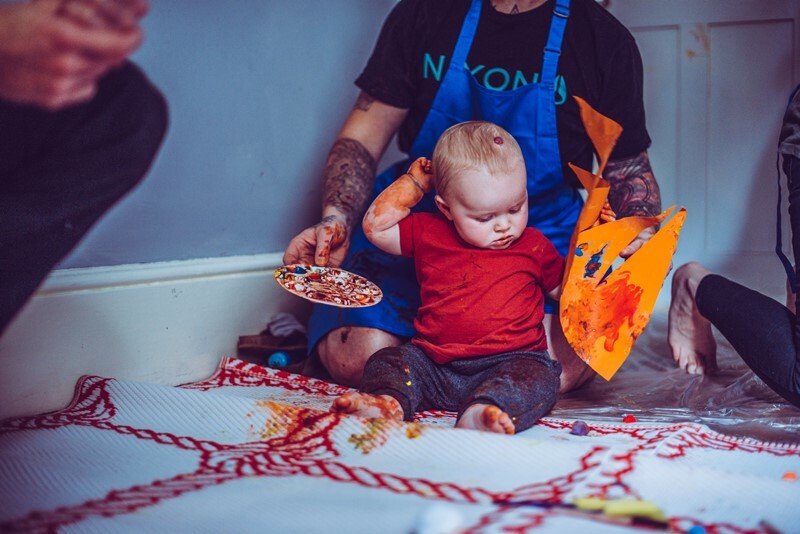 Our CM Artist Rhiannon, based in Kent, held her first parent-toddler ‘Mini Makers’ art session recently. 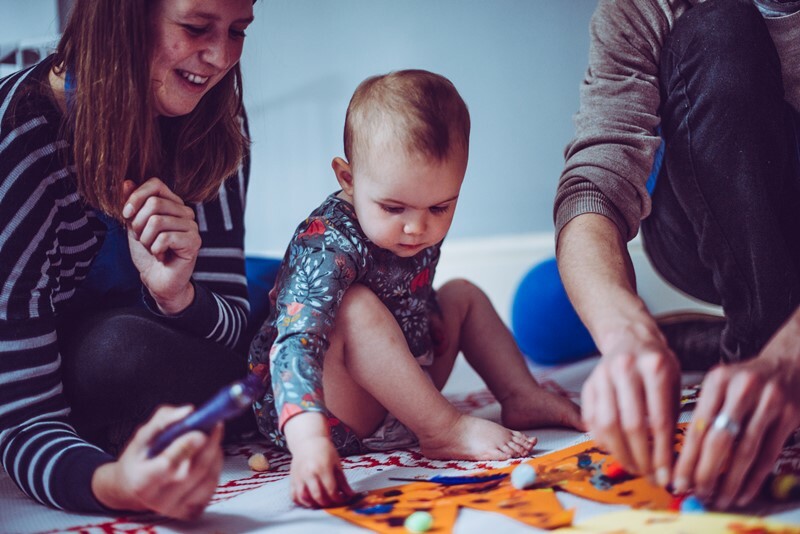 As a mum of a two-year old herself, she found a lot of the toddler activities in her area rather dull, and mostly music orientated. So she took it upon herself to set up her own creative parent-toddler art session. The children were aged from just 10 months to 3 years, and their task was to decorate their own paper crown. She displayed an example of what she wanted them to make, then gave them each a pallet of paint and a bowl with sequins, glitter, paper shapes and glue. She put on some music, and let the fun commence. The children loved the sensory experience and really got stuck in, exploring the different artistic materials, how they felt to touch and the effects they made. They had a great time getting messy with acrylic paints, and layering the shapes to decorate their crowns. They then added some sparkle to their creations with sequins and glitter. The parents loved seeing their children’s reaction to the range of different materials on offer and witnessing their children’s process of discovery through the creative session. All the children were thrilled with the end results and proudly paraded around the garden with their crowns on after! 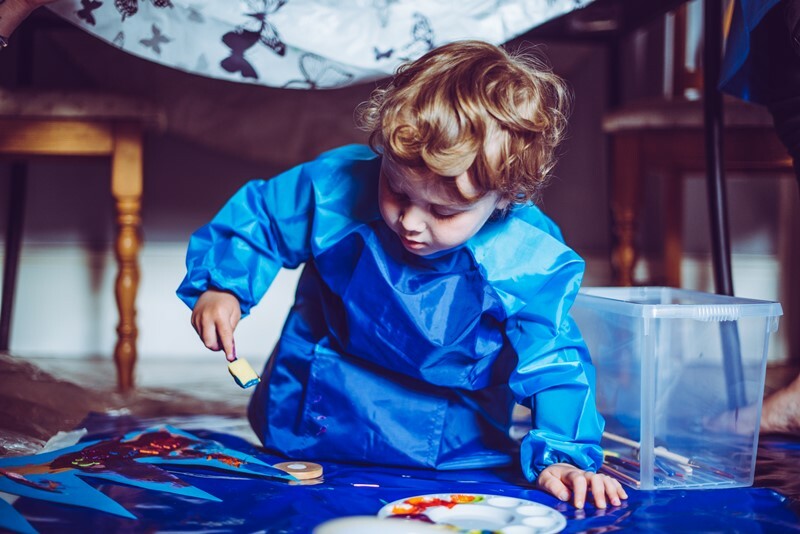 Parents often need a bit of encouragement when it comes to letting their little ones go wild and get messy with creative play. 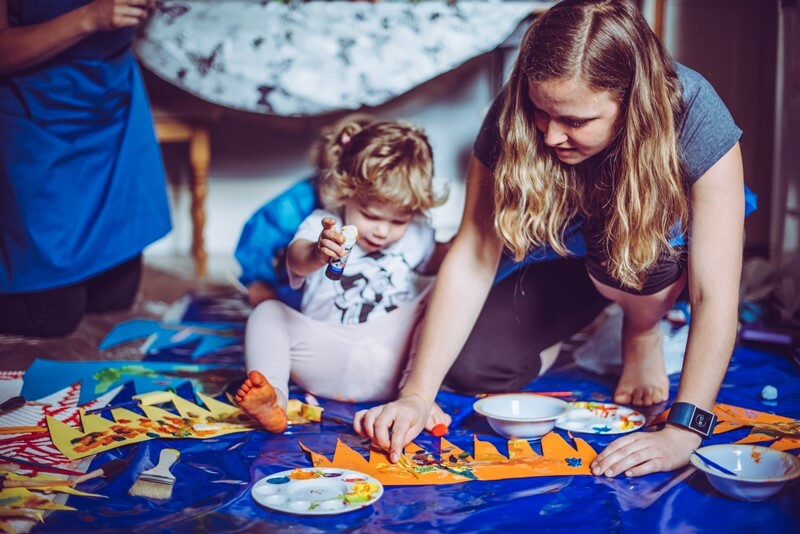 However, after the session the parents said they loved the opportunity to be creative with their children and not to worry too much about the mess they make. It made for a wonderful bonding activity and the toddlers certainly enjoyed themselves too! We hope to deliver more ‘Mini Makers’ art sessions very soon! Previous article: Creative Minds Artists Attend Community Meeting 2018! Next article: Children at a Kenyan School Get Creative!